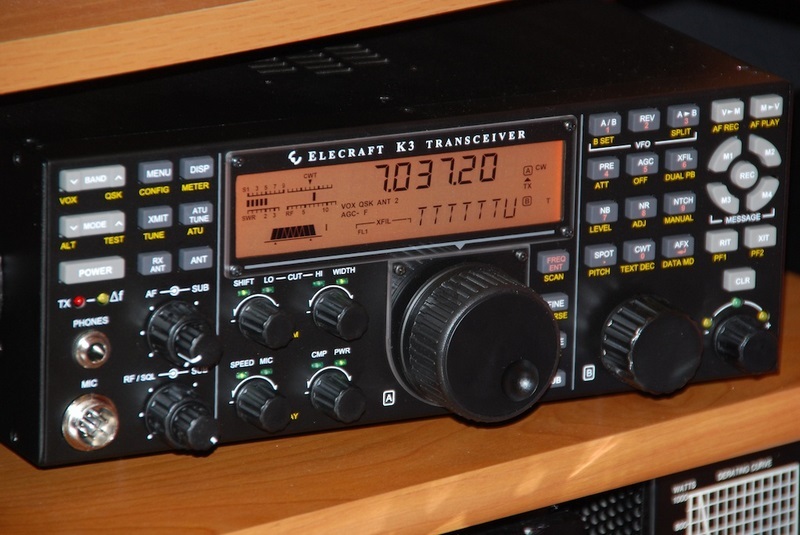 Well my Elecraft K3 arrived March 2010 I did plenty of reading and viewing You Tube videos on this radio and was very impressed. At first I was apprehensive about switching out my Yasue FT-1000mp MKV. I was very familiar with how it worked and all the in's and outs. I can now say that it was a good decision. The unpacking and looking through the manual began. I like to sort through all the parts and pieces. I find it not only helps me check the inventory but also I can familiarize myself with parts that look very similar. Parts that during the build can be mistakenly placed where they should not be. Also being familiar with the parts helps speed up the build and makes it go very smooth. Keeping the smaller items such as screws, washers, standoffs etc in small zip-lock bags, is great for keeping track of the small items. That way you don't have these small parts ending up on the floor and then become frustrated looking for them. With the K3 there are many stand offs and screws that are very close in size to each other so sorting before hand proved to be helpful. Now begins the K3 assembly, heed the manuals warning and make sure the right standoff and screw lengths are being used. It can lead to boards not fitting correctly and you having to go back and refit the correct hardware. Most if not all the time when things did not fit together smooth it was an error on my part. At one point I did notice a side panel that had what seemed to be two extra holes in it. After contacting the support I was informed it was for an up and coming option. 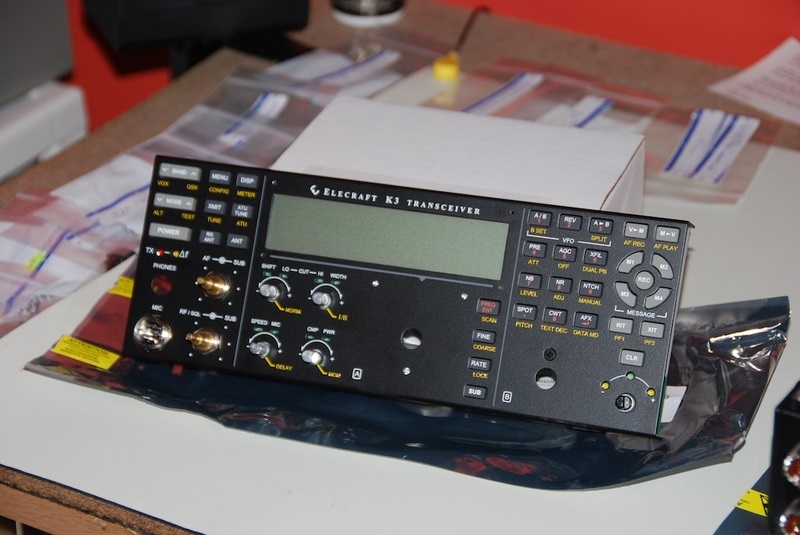 One word for the Elecraft support and that is FANTASTIC !! So back to the build, the options I order were the KAT3, KPA3, TCXO, KXV3A and the filters were from Inrad. They had all the 8 pole filters I was looking for . There were 250, 400 and 500 Hz. In the future I hope to add the KRX3 sub receiver and the filters as well. I was not sure if I would miss the general coverage part of the hobby. Really did not think I paid to much attention to it but seems I did. So the KBPF3 general coverage module is next on the list for me. As you can see from the pictures the assembly of the K3 went very well. I did take my time and worked on it during my evenings. I know I have read on the Internet how there were those who completed the whole process in one evening. During the build I just had a bit of trouble with the front panel and getting it to fit the first time. It was not due to trouble with the Elecraft product it was just lots of parts and pieces that had to fit together all at once. There is warnings of this on the reflectors but I heeded the advice and took my time to make sure all fit well. The radio was a pleasure to put together seeing each stage come to completion was exciting. As for the final setup of the radio Elecrafts utility program made it a snap. 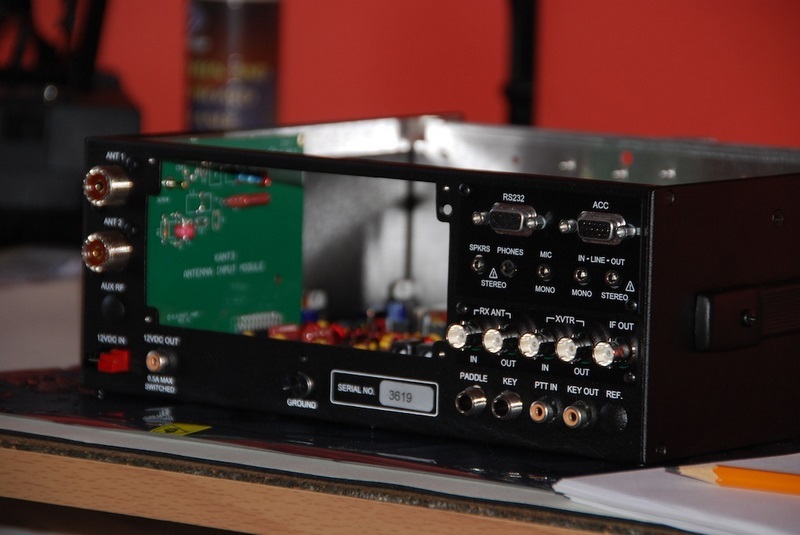 You simply load the software into your computer and through a serial port connection to the K3 the software sets up the k3. During each part of the setup I had no problems and the rig checked out with no issues. The KAT3 board was damaged during shipping but I contacted the support team at Elecraft and a new one was sent out to me. Now it was time to read the manual and get the rig on the air. It was also time for me to bid farewell to my trusted FT-1000mp mkV as well. It sold within 3 days of posting it for sale.